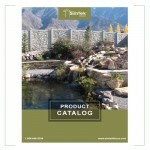 For Vinyl Rockwall Fence Installation we use the top of the line products from SimTek. SimTek Fence has reinvented fence manufacturing with its patented design of rotationally-molded fencing allowing realistic stone appearance and superior performance. What makes SimTek Fence unique? Patented Construction– Made with proprietary Linear Low Density Polyethylene Plastic (LLDPE) and is reinforced with galvanized steel. Superior Wind Rating– Can withstand constant hurricane force winds up to 110 mph and 130 mph gusts. Certified to Dade County, Florida hurricane requirements. Excellent Sound Barrier– Blocks 98% of direct sound with a sound transmission class (STC) rating of 26. Durable In Temperature Extremes– Very stable in temperature extremes. Withstands tests at -40 to 140 degrees F.
Fade Resistant– Contains UV12 inhibitors for a lifetime of vibrant colors. Xeon-Arc chamber tested in an accelerated environment with minimal to no fade. Color Options– SimTek carries six designer granite colors: Brown, Beige, Grey, Black, Desert, and White. Easy Installation– The most user-friendly fence on the market. Greener Solution– We care about our environment. The SimTek Fence system is made with recycled and recyclable polyethylene plastic. Graffiti Resistant– Easily remove graffiti with a high-powered pressure washer. Solid Privacy and Security– SimTek provides exceptional privacy and security for you and your family. Maintenance Free/Lifetime Warranty– A maintenance-free solution. Our patented fence will never need painting or staining; nor will it warp, fade or crack. The product is warranted for a lifetime to be free from manufacturing defects. 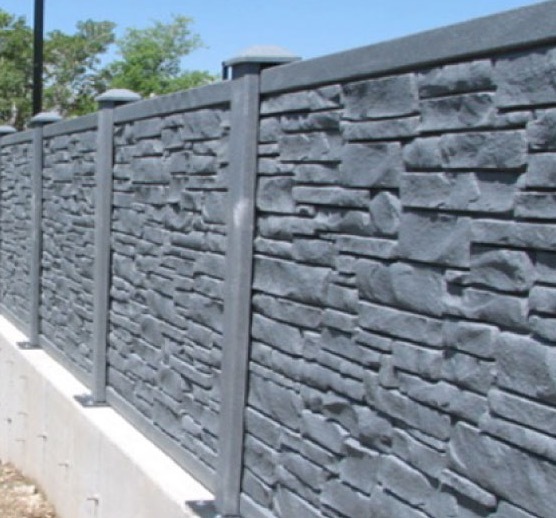 Cost Effective Solution– Enhance your surroundings with our revolutionary “rock-look” SimTek fencing. Made In The USA– Proudly made in The United States.